No one likes to be involved in any legal battle or case. However, there are some things that are beyond our control. When there is a need to take legal action whether it be for a divorce, law suite, or child custody there are legal procedures that need to be followed explicitly. Among the process of the legal proceedings process serving is one of them. This term can seem confusing as to what that means for you. When you go to court you have to inform the defendant through proper paper work. Colorado Attorney Services can help the residents of Castle Rock, CO when it comes to service of process. This isn’t the only thing that we are able to help you with. Our list of services includes skip tracing, Court records retrieval, and issue and serve out of state subpoenas. What matters most though are the people who are preforming these services for you. Castle Rock residents need someone that values trust, honesty, and excellence. Colorado Attorney Services provides you with a company that exuberates each of those values. Call us today for all your legal needs! We believe in earning people’s trust the old fashion way and welcome the chance to earn yours. Take the time to look at some of our reviews and see what other people have said about our services. Call us or fill out an online request form today! 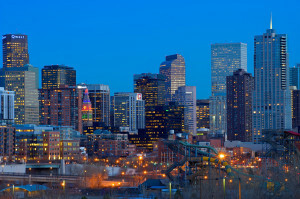 "I live in San Diego, CA., and needed a service done in Denver, CO. I reached out to Denver Attorney Services, and I have to say that I am very pleased with their services. They were very professional and provided me constant updates throughout the process. If anyone is looking for speedy and reliable services, these guys are the way to go."